Hello. I hope you are doing well. 1) why I was shipped a product whose original price was cheaper that what I paid even though the lising said the lucky bag item should be worth more? 3) The color is not black as listed? In case you are not sure what I bought, here is the listing. I am not the only one complaining. Dear piggy99. thank you for your feedback. I have forwarded your report to our relevant department. Please wait for two business days to receive the result. I will update you in 2 working days. Awaiting confirmation if the box is Google Certified, DRM L1, plays 4k on Netflix, Amazon Prime and if its unrooted device? Hi, we have got words from the supplier that this box doesn't support them and it's unrooted. I am following up on this matter. It is a little bit over 2 weeks since your post on getting back to me on the matter. Hi, we are sorry for the late response. Please send us your order number via PM and we will detail some solutions to you. What they send was a basic box and a question was asked regarding the box of the listing and they clearly said that the box is a basic box because it cannot play netfilx (spell error) on the website) and the android version can. The link below is what I bought. Please scroll to the bottom of the page on their claims that the box is not the smart projector. Now they point me to the android version. It is a complete 180 degree turn arount. What a change. Someone lied and I think the guy who replied to this thread did. I did not get the android version and they know it and are playing as dumb as a door knob. They scam me and many others. The unit was never worth $180 nor was it worth the price we paid at $87. It is on sale for $65 a week ago and now back at $69. The issues are many fold. 1) they sent the unit that is worth far less than I paid. 2) they lied on their listing on the original value of the product. 4) they are not willing to honestly address the issue. HAVE THEY ADDRESSED ANYTHING i POSTED? AT LEAST AS A FACE SAVING STATEMENT, SAID THE SUPPLIER SCREWED UP AND WE WILL FIX THIS TO COVER YOUR SCAM. And I dont think they investigated anything. There is no OS on the box and They know it. I am not willing to accept a box that they were and are selling for less than USD $70 but now want to give me a credit of $7. This is not how business works. This is a scam..This is not a genuine resolution. 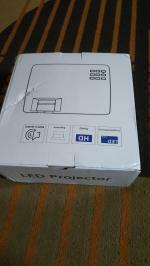 The price difference was $22 from what I paid (a smart projector) and what was sold (a basic model). The basic model is not what I ordered. So a resolution of $7 is a slap at my face. It is like stealing $100 from someone and then offer a $5 back to them and ask them to settle. I will wait until friday for a fair resolution. If I dont, I will ponder on my next step and will contact paypal. ps I will be glad to take a picture of the projector that shows no OS (the screen that clearly says no OS because it is blank out) But I do not think it is necessary because they know the truth but are playing dumb as I said earlier. I am sorry for the late reply. I have checked and noticed that the product is currently sold at 89.99 USD (https://www.gearbest.com/projectors/...ml?wid=1433363) and the product in this order was 86.99 USD. In this case, we can refund 6.99 USD to your GB Wallet or to your original payment account. Please let us know which way you prefer. We are sorry for this situation.I am sorry for the late reply. I have checked and noticed that the product is currently sold at 89.99 USD (https://www.gearbest.com/projectors/...ml?wid=1433363) and the product in this order was 86.99 USD. Last edited by piggy99; 12-19-2018, 06:07. Hi, piggy99, we are sorry that there is a misunderstanding. The product you received is 86.99 USD. Therefore, the price difference is 17 USD, right? We can refund the price difference. Last edited by CSGearbest; 12-20-2018, 00:17. However to protect myself, November 19 was 45 days from my purchase and I had no choise but to file a dispute with paypal. The $17 was a good start point and should have been but it is not enough. You dont ship some the wrong item and in this case a clear intention of fraud and call it even. Thanks for your help and I wanted to thank the moderators of their patience with me. Below are some of the reviews of their purchases. Everyone got a product that is worth less but Gear best continues to play dumb and I am going through the same process here. The people dealing with it follow a script and do not actually do a check or research on the problem and tries to wear one down. At Paypal the person handling offer me $15. LOL So I did a escalation and will wait for the outcome. pelo pre?o que paguei poderia ter pego um melhor. a concorr?ncia est? tratando melhor os compradores. enviou na cor branca e n?o como mencionado no an?ncio que era preto. Well it is good to know that PayPal's sense of fair and rightful compensation is wholly deficient. Multiple listings of same item, with .12 cents difference in price, shipping cost that wildly vary for essentially the same size and weight devices, inaccurate and incomplete item descriptions, user testimonials that are either copies or unrelated to the product, and not translated, etc, etcetera ... Lead to customer frustration, misunderstandings, dissatisfaction AND loss of sales opportunities, slow companies' growth while increasing business costs. Kris....don't forget my boxes! Okay? Hi, after checking in detail. It turned out that one of our staff in the marketing department made a mistake when she edited the lucky bag info. This was not intentional and she has been aware of the mistake. We apologize for any misunderstandings. 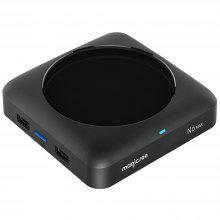 Magicsee N6, just released, has gone from 5 reviews to like 40....Most precede the devices' release date. THEY ARE FAKED! MADE UP! And appear to be lies. It will, if not properly and promptly corrected DESTROY All Confidence and Credibility you must have to sell to me and others. Manipulated reviews are a deal breaker for me in the truth department. Understand and agree?? 2) Please look into the last pages of the trebor FT Team Review for the magicsee N6 rk3399 device. I have a unit being shipped, but am Greatly Alarmed at the deep and widespread bugs that Several brand new owners are having with main features of the box. Would you monitor, and liason with magicsee engineers for the effectiv, comprehensive and complete FW Corrections as quickly as possible? Your single point contact makes much more sense than 4-6 individual irritated users trying to get satisfied results. There is at least some closure. Gearbest up its offer to a USD$30 (purchase price of $86.99 plus $9.31 shipping) refund after I escalated the dispute which I accepted. It is not a perfect solution. 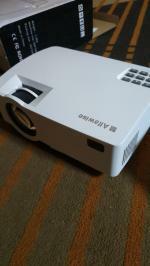 Not a Projector 1 want but at the very least I can use the $30 to but a TV box to make that a "smart projector". Once again my thanks to the moderators who allowed me to fight my dispute with gearbest openly. A happy new year to all. GB Rep, or is it "Lisa"? The first few n6's received by FT members appear to have numerous bugs and OS Faults. Can We expect you to oversee Customer Service, Tech Support, and Magicsee's Proactive updates and solutions needed Now? This will Test us all, and We hope your associates will Meet the Challenge and build both Customers'loyalty, and Company Images. Hi, ClarkKent. Could you please send us your order number so we can check it for you?